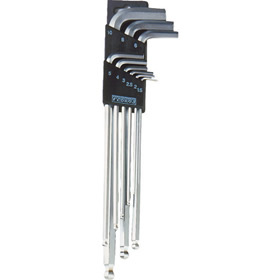 Head heat treated for superior strength by 15% for most other types of keys. Its length allows for better leverage. Includes: Keys 1.5, 2, 3, 4, 5, 6, 8 & 10mm more plastic storage bag.